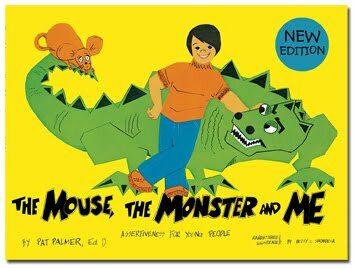 The Mouse, The Monster and Me is a book written to help kids understand different character traits, and find out who they are. This book encourages kids to be themselves and teaches them how they can better themselves. This book talks about how some people can act like a "monster": which is someone who is pushy, aggressive, mean or bully, and they are not very thoughtful. This book also describes "mice" people: which are the very nice people, the ones that are sometimes too nice to people that people can take advantage of them. Mice like people are those that are afraid, timid, passive and non-assertive, and may not stand up for themselves. I think this book does a great job explaining how kids can better themselves and be happy who they are. The book defines different ways on how to be yourself using strength & power, compliments and criticism, and knowing your rights and responsibilities. In the book, there are questions that you can answer to help you think more about the topic: for example, you can write down your strengths, write down what people say about you/and write what you believe you are, and write down some decisions you would like to make. I think this book is a great resource for kids to really think about what they feel, how they are with other people, and think about if they need to change anything. If kids recognize they maybe are acting more like a monster-type or mouse-type, I think this book could be a great tool to help them make some positive changes in their choices with how they respond. Overall, I think this is a great book for pre-teen/teen age kids. I think it makes a great workbook for kids to do and helps them use the information to work on themselves strive to exceed. I like that this book gives ideas, helps kids think/talk about their feelings and attitudes, and in general gets them thinking about so much. I highly recommend this book! What you feel, who you are, being your own friend, letting your feelings be known, being your own person, knowing how your body is responding to what you are going through, and letting others be who they are. There are a few great games in this book to help kids do some hands-on activities to help learn the concepts described in this book. One of the games that I liked was the "I think, I feel, I want game." With this game kids are asked to have a partner and go back and forth sharing their feelings using the three phrases. This game is to teach kids that they own their feelings, their feelings don't hurt others, and what they feel isn't wrong. Plus, they learn a lot about the other person using these phrases. This book can be used as a great resource to build a conversation with your child about their feelings, and the feelings of others. I think this book is another great book to work through with your child. 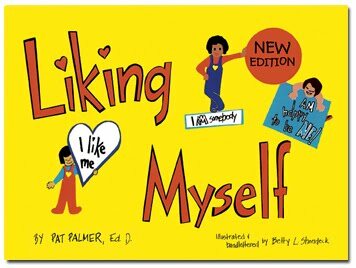 Dr. Pat Palmer, author of many books for children and teens, and adults, offers compassionate, positive ways to handle and express feelings, be assertive, and be confident. A therapist and former Director of the Assertiveness Training Institute in Denver, she continues to write at her home in Hawaii. Liking Myself and The Mouse, the Monster and Me are available from UpliftPress.com (free shipping). This review was provided from Parent Reviewers and UpliftPress.com. They have provided me with two books to review and information to share with my readers. 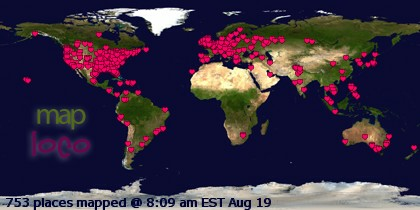 I was given the books for my personal opinion and option to share with my readers. I was not compensated for my time or written review.